A video from the Southwest Research Institute explains the objectives for the Curiosity rover's Radiation Assessment Detector. Even before its landing, NASA's Mars Science Laboratory has sent back its first scientific results — shedding light on the radiation exposure that astronauts would face during a future mission to the Red Planet. The good news is that the spacecraft's protective shell, which is similar to the shielding being developed for NASA's Orion deep-space capsule, reduces the exposure inside the spacecraft to about a hundredth of what it was outside the spacecraft. That's according to Don Hassler, the principal investigator for the Radiation Assessment Detector that's installed on the MSL Curiosity rover. The bad news is that the internal exposure levels measured during MSL's 8-month-plus cruise to Mars would still constitute "a significant contribution to an astronaut's career limit," Hassler said. Hassler discussed the findings in general terms today during a pre-landing briefing conducted at NASA's Jet Propulsion Laboratory in Pasadena, Calif. The Mars Science Laboratory is due to plunge through Mars' atmosphere and lower Curiosity to the surface at 10:31 p.m. PT Sunday (1:31 a.m. ET Monday). Mission managers said the probe was almost precisely on target for the landing in Gale Crater, within sight of a mountain that towers 3 miles (5 kilometers) above the crater floor. "I just can't wait," said Michael Meyer, the lead scientist at NASA Headquarters for the Mars exploration program. Scientists say the layers that make up the mountain, known as Aeolis Mons or Mount Sharp, record billions of years of geological history — including the era when Mars was warmer, wetter and more conducive to life. The Curiosity rover's main task is to seek out the chemical evidence that could tell scientists whether Mars was ever potentially habitable. "What you've got here is really kind of a geologist's paradise," said Caltech geologist John Grotzinger, project scientist for Curiosity. Although the habitability question is the $2.5 billion mission's top issue, Mars Science Laboratory will also gather data to help NASA prepare for eventual human missions to Mars. The early readings from the Radiation Assessment Detector, known as RAD, are part of that investigation. An artist's conception shows the Mars Science Laboratory during its cruise phase, heading from Earth toward Mars. The spacecraft's protective shell is similar to the hull of a crewed spaceship. RAD's readings are still being analyzed in advance of submission to a scientific journal, Hassler told me, but the exposure equaled "a few tens of percent" of NASA's career limit. And that's just for a one-way trip. Astronauts would face additional exposure during their work on Mars and on the return trip. NASA's career limit for radiation exposure is in the range of 1 to 4 sieverts, depending on the age and gender of the astronaut. The space agency associates that level with a 3 percent excess risk of cancer. Space radiation has long been recognized as one of the biggest space hazards humans would face on long-duration trips beyond Earth's protective magnetic field, but the RAD results are expected to represent the best effort to quantify that hazard for Mars trips. RAD will continue to monitor radiation exposure on the Martian surface throughout Curiosity's two-year primary mission. A manned mission to Mars and back would take two to three years, based on the scenarios currently studied by NASA. The space agency's exploration roadmap calls for astronauts to journey to Mars and its moons starting in the 2030s. "Our observations are already being used in planning for human missions," Hassler, a researcher from the Southwest Research Institute in Boulder, Colo., told journalists. Most of the exposure recorded by RAD came in the form of five spikes in solar radiation levels during the cruise phase, including a monster spike in March. 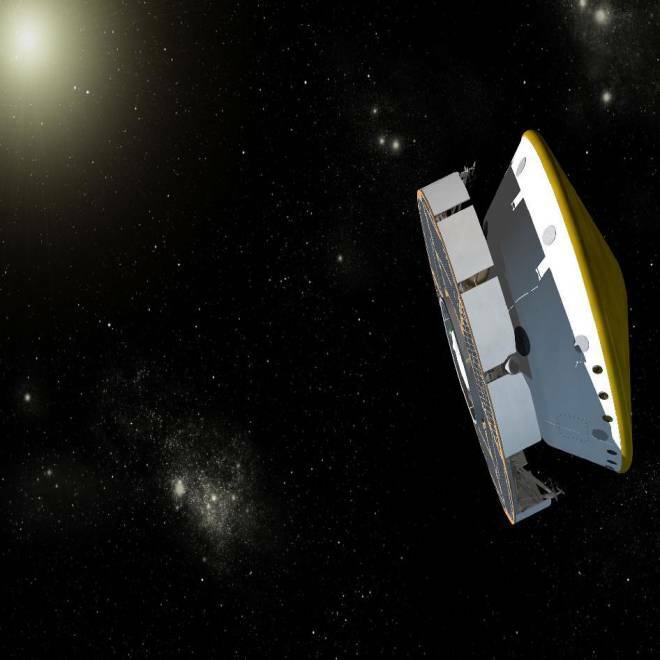 To determine how much protection the MSL spacecraft's outer shell provided, Hassler and his colleagues compared the internal readings from RAD with levels in the space environment that were recorded by a satellite known as the Advanced Composition Explorer. The researchers found that the highest peaks of solar activity were reduced by two orders of magnitude, or roughly a factor of 100. "The lesson here is that these events happen very quickly, and they can be very intense, but with proper shielding we can help prepare for future human missions to Mars," Hassler said. Experts are looking into potential ways to beef up the radiation shielding for deep-space journeys — for example, by distributing water and other supplies in a particular way around the outside of the capsule, or by creating a more heavily shielded "safe haven" for use during solar storms. In addition to solar storms, galactic cosmic rays contribute to radiation exposure levels in space. After the landing, RAD will be able to compare the space exposure levels to the exposure levels on Mars itself. The Martian surface is thought to be pummeled by radiation to a far greater degree than Earth, primarily due to the fact that the Red Planet has a much thinner atmosphere and no global magnetic shield to divert electrically charged particles. Hassler said the RAD experiment could lead to much better models to predict the effects of space radiation on future deep-space astronauts. Is there a virtual Mars in our future?